Air Quality Systems employs only the finest field technicians available in the industry. Our Norcross crew receives rigorous and continuing training in HVAC hygiene and is consistently prompt, courteous, and efficient. AQS field technicians have more years of combined experience than any other company in the industry. When you give us a call, you can feel confident that you’ll be receiving expert service, every time. 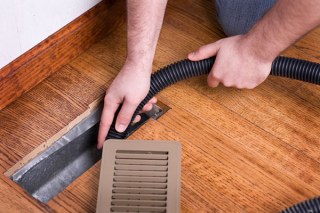 For solutions that help you breathe easy, contact us today!